AnonD-47620, 23 Mar 2012who says that Micromax A73 has 50 MB inbuilt memory. I am using it and it has 170 MB inbuilt m... moreI Am Sorry For Internal Memory Yes It Has 170 MB,But What About Camera It Is Fixed Focus.I Am Using Spice Mi 310 From 10 Months So You Cant Say It Say It Is The Best Android Phone For More Examples You Can eezol.com Site (Chinese Android Phones) So What Are Review For These Chinese Android Phone You Can Check Their Review On Youtube????????????????????????? who says that Micromax A73 has 50 MB inbuilt memory. I am using it and it has 170 MB inbuilt memory. This Phone is the best Android I had ever. I repeat it has 170 MB inbuilt memory. Love this phone supporting all the Multifunctions. Friends plz tell me that talking tom work in it. This is the most cheapest Android phone I have ever had with all the multifunctions. It features are awesome. Fantastic phone. supported all the app. from Google Market including Angry Bird. 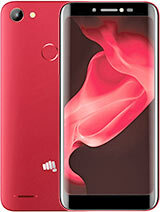 Thanks to Micromax for the outstanding Mobile. It has dual Sim with 2G support on both the sim. 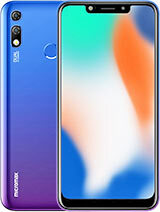 I will definitely recommend this phone. 5 star from me. is the internal memory of this phone is enough to install apps from android market or we can use external memory card for the installation?? 2) didn't used much the phone that day the next morning the battery was dead at night i don't know when, charged again from morning 6.30 to 11 but the battery didn't got fully charged, removed it from charger and till 4 pm the battery showed low battery sign and during that time i just talked on my phone for not more than 10 mins calls, 5 - 6 sms, and 10 mins of internet browsing and for the last 10 days i m facing the same battery backup, 1st i thought its a new phone so i might be facing battery issue but its same daily i m charging my phone for more than 10 hours to keep it running. 3) most of the apps from market is not running on the phone only few common apps are working on the phone.it gives some error when i install 3rd party app if anyone hv solution regarding this pls inform me. 8)angry bird game is defaultly installd and works with lags which is a big disappoinment for me hvnt tried installing any other games from the market yet. 9)wifi connectivity is not as good as of nokia phones. i checked and compared with nokia e5 which has better conectivity wen u go far from the wifi, nokia e5 works perfectly but micromax a73 gets disconnected. 11) camera is not that good, handsfree volume is very good loud, clear and crisp but earpeice speaker has very low volume which make hearing somewhat difficult but with time i m sure i'll get used too. 12)signal reception is not at all good. this is something i would like to inform all the user who are planing to purchase it that this phone has some problem with signal reception. when can we see the full photo and 360 dig option? 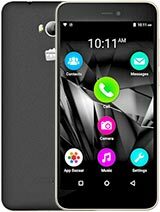 is it safe to buy micromax mobiles? 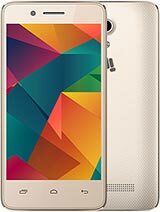 is this mobile worth buying? haven't expected such great features like front cam..
shob, 17 Mar 2012This is really an excellent Mobile. 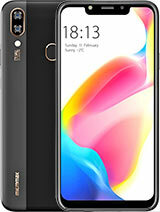 which has all multifunction as Wi-fi, Bluetooth, Dual sim.... morehow about battery back up.. ? 50 mb, 256 mb ram, 512 mb rom ? 50 mb ??? ?